All restaurants know that anything related to food, from preparation to actual consumption, should be enjoyable. Yet there are a lot of things that can easily take the fun out of food, and being allergic is one of them. Imagine going out for dinner and looking at a particularly delectable dish that was served at the other table. You look for it in the menu, only to get your hopes squashed because you realize it has almond sauce. Having allergies restricts what you can eat, and for a lot of people, this takes out the fun of eating out. The good news is that restaurants are paying attention. Restaurants know that it’s practically impossible to please everybody. But many take customer service to heart and try to please as many people as possible, especially those with special dietary restrictions. Some may think that bending over backward for those with food allergens is asking for too much. After all, when you’re running a kitchen with limited space, limited hands, and not too many resources, you can’t keep changing the menu or be substituting items just to accommodate a few. But what if you found out that ‘a few’ isn’t so few after all. The FDA reports that food allergies affect millions of Americans at any given point. If any of these millions get an allergic reaction, it can range from the mild and harmless to the severe and life-threatening. When an allergic reaction is severe, your airways get constricted, your throat swells, and your blood pressure dangerously lowers. This anaphylactic shock, if left untreated (with an EpiPen shot), can cause death. The FDA also estimates that every year in the United States, anaphylaxis due to food allergies causes 30,000 emergency room visits, 2,000 hospitalizations, and 150 deaths. People actually die because of allergic reactions, and when you’re a restaurant owner, you should definitely take this seriously. The most common food allergies are actually ingredients that you would find in a lot of dishes, so it’s really important for restaurants to be paying attention. The question then becomes, how do they adjust their menus (if they want to at all) so they can accommodate these allergies and ensure that no adverse reaction happens? It’s easy to say that when you want to open a restaurant, you should be the one to dictate what’s on the menu. While this is generally true, the decision is never free from factors that can affect it. Even the best chefs who cook to their heart’s content have to think about their customers. 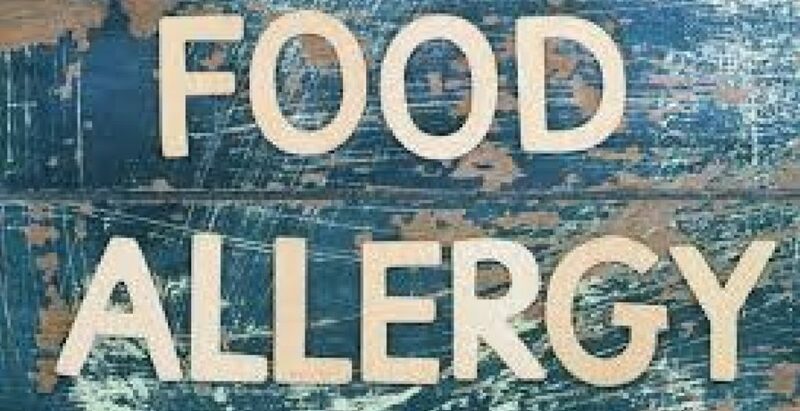 The person who is allergic should also be responsible for his or her dining decisions. When faced with a menu, you should scrutinize each item and if you see something you’re allergic to, you should ask if it can be substituted with something else. While this seems like a fairly harmless request, when chefs think of a special dish to offer customers, they actually do so with a vision in mind. They know what the end product is going to look like, taste like, and what experience that will bring to whoever eats it. Once you substitute any part of that dish, it’s never the same. There are restaurants who still try to accommodate if they can, but often this causes havoc in the kitchen especially if it’s a particularly busy time. At the other end of the spectrum, you have some restaurants who have a ‘no substitution’ policy, much to the anger of many. There are also restaurants that have special sections in their menu: gluten-free, vegetarian, nut-free, and all other dietary restrictions. But some restaurants take this a notch higher. Take Odd Duck, for instance, a restaurant that prints 7 different menus each day, catering to all these restrictions. When you’re allergic to nuts, for instance, you get one of the special menus and not the regular menu with the dishes you can’t have crossed out. Places like Odd Duck know that it’s not just about the food you offer. A lot of it is about educating the staff – from the waiters to the cooks in the kitchen, about food allergies. For one, everyone has to know how to react when an allergic reaction happens. But since prevention is better than cure, Odd Duck actually trains the waiters to ask about the customers’ allergies and even pay attention to their orders to ensure that everything is safe. Training the kitchen staff is also important because you have to be extra careful with utensils and even the actual preparation area. The fact of the matter is, millions of Americans are allergic to all kinds of things. There is no cure for these allergies, and they can be life-threatening. If more and more restaurants acknowledge this and do what they can to make dining enjoyable even for those who are allergic, their market will increase. Many of those who are allergic restrict themselves from eating out, just to be safe. When they do eat out, it’s always a struggle, especially if they’re dining in a group and they have to keep asking about certain items on the menu. If they don’t want to make a fuss, they usually just order the safest dish they can find, which is more often than not far from what they’d really like to try. By restaurants putting out special menus, they are acknowledging that being allergic shouldn’t stop anyone from a wonderful dining experience.